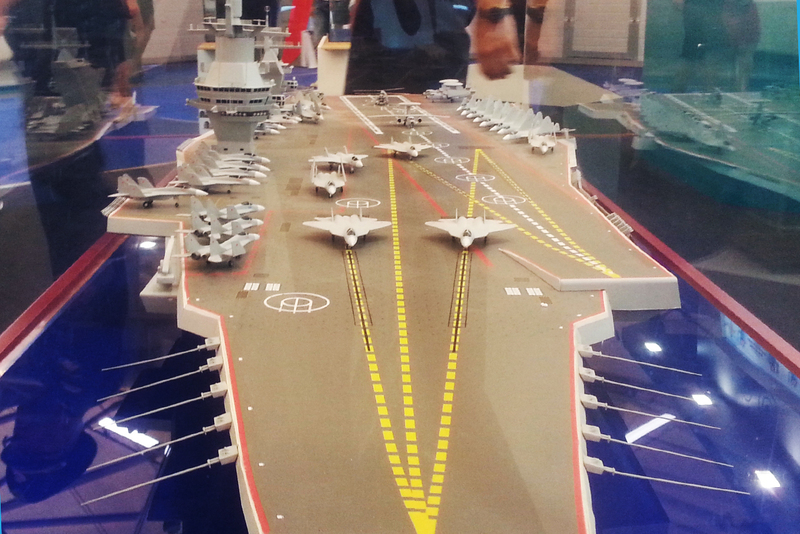 Why is Russia creating the biggest aircraft carrier in the world? Expert: The new aircraft carrier "will be a floating airport that is accompanied by an entire squadron of ships." Due to bubbling geopolitical tensions, Russia needs to show its presence in various parts of the world. As a result, it’s building an aircraft carrier that will be able to simultaneously carry up to 100 fighters and bombers. The new "Shtorm" aircraft carrier – a.k.a. Project 23E000E – will be included in Russia’s next armament program for the 2019 to 2025 period. The aircraft carrier will go into service in the navy by 2030 and experts say that its potential base will be Severomorsk (1,880 km north of Moscow). During the campaign in Syria Moscow has realized the necessity of such a ship. Moscow sent the Admiral Kuznetsov aircraft carrier group to Syria’s shores, however, the ship has already done three decades of service and is on its last legs. "On the Russian ship's deck there were about 30 planes, while an American aircraft carrier can carry up to 90. Also, the take-off speed on the Admiral Kuznetsov was a few minutes, while on an American aircraft carrier three planes can take off in one minute. Moreover, there are many tasks that the Russian ship cannot perform today. Therefore, Russia needs a new modern aircraft carrier," said a source from Russia’s defense industry. In today's geopolitical conditions Russia's presence on the world’s oceans is necessary for protecting itself from potential aggressors, experts believe. "An aircraft carrier is a point of strength. It can move about the world and dictate its conditions to others. Of course, for the Americans our aircraft carrier means nothing because they have 19 of them. While Russia will have one, two at the most. Nevertheless, it’s a force to be reckoned with," a source told RBTH. What is Shtorm all about? The Russian ship’s parameters will be similar to the U.S. Gerald R. Ford supercarrier, notes Professor Vadim Kozyulin from the Academy of Military Sciences. Like the American carriers, Shtorm will have a completely open deck. It will also not be protected by artillery, similar to the Soviet-Russian Admiral Kuznetsov. "It will be a floating airport that is accompanied by an entire squadron of ships," added Kozyulin. The area of the take-off deck will be equivalent to three football fields. The deck will contain four lanes of various lengths, as well as a mixed launching system comprising springboard and springboard-catapulting. Kozyulin stressed that due to the absence of weapon systems aboard the aircraft carrier it will be guarded by about ten ships including frigates, destroyers, cruisers, and submarines. Also, two RITM-200 nuclear engines will help Shtorm accelerate to 30 knots (30 mph or 55 km/h). The ship's overall displacement will be 100,000 tons and its draft 11 meters. The ship's crew will be about 4,000 strong. However, Russian defense experts will have to solve a series of problems before the aircraft carrier is built. Shtorm's deck will carry MiG-29K fighter jets and the naval version of the fifth-generation T-50 plane, Kozyulin believes. And while the navy has already received deck fighters from the MiG family, and perhaps even tested them in Syria, the new generation T-50 is only being developed in Russia. And its ship version still only exists in blueprint form. "Also, Shtorm will need corresponding infrastructure. A special dock will have to be built for such a ship and it will have to be protected as it stands in the harbor on all sides – land, air, and sea. This means that additional air defense and coast guard units may appear around its base," explained military expert and Deputy Director of the Institute of CIS Countries Vladimir Evseyev. Moreover, according to experts, the construction of Shtorm will cost from 350 billion to one trillion rubles ($6.15 to $17.5 billion), depending on the ship's components. "Considering the 90 deck fighters that will have to be built for Shtorm, as well as the necessary infrastructure, the aircraft carrier's costs could easily double," added Evseyev. Because of the high price and the economic sanctions many experts, including one of the creators of Shtorm's first model Vladimir Pepelyaev, doubt that the project will appear in its original form. Consequently, the constructors have already begun developing an equivalent that has smaller dimensions but similar combat potential.